Hello, and welcome back to the Arne Wellness Center blog. In our recent post, we began discussing some of the most common auto-related injuries and, today, we would like to keep this conversation going. One of the most typical injuries sustained in most minor and major car accidents are neck injuries, commonly referred to as whiplash. 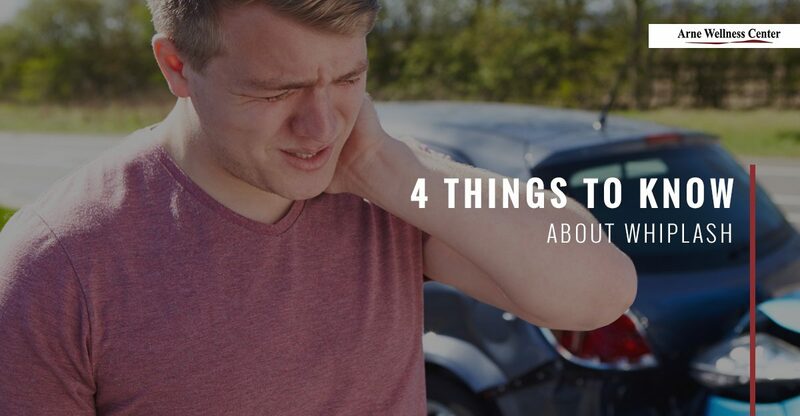 According to the National Highway Traffic Safety Administration (NHTSA), with over 800,000 whiplash injuries reported every year, whiplash is the number one car accident injury in the United States. Now that fall is in full swing here in Colorado, wintry weather is just around the corner. Inclement weather and icy road conditions in and around Littleton will increase the risk of fender benders and automobile accidents, which is why today, we will look at some of the most important things to know about whiplash. Whiplash is caused when the neck is moved forward and backward, or side-to-side in a sudden, rapid movement. Whiplash is a sprain/strain injury that overstretches the muscles, ligaments, and joints that can affect movement and function in the neck, upper back, and even into the shoulders. Whiplash injuries may at first seem minor, but may also become chronic injuries. Surprisingly, whiplash can occur at speeds as low as five to ten miles per hour. In fact, most whiplash injuries occur at low speeds and without a lot of force; when a car is rear-ended by another car traveling at about ten miles an hour, this low-speed collision may produce up to nine G’s of force that causes the neck to jerk forward and back suddenly, which is enough force to injure the neck and upper back. When a patient is examined after an auto injury, your chiropractor here at Arne Wellness goes over your medical and injury history, evaluates the spine and associated soft tissues as a whole, and may request x-rays or MRIs to further diagnose the injury. Your chiropractor will move forward with a treatment plan that is tailored to your body, injury, and symptoms, which may include gentle chiropractic care, acupuncture, natural medicine, and massage therapy to help treat the symptoms and relieve pain associated with whiplash. The worst thing you can do after experiencing a trauma is to let it go unaddressed, as this may lead to other, more chronic issues down the road. If you have been in a car accident here in Littleton, give Arne Wellness Center a call to schedule a chiropractic evaluation with our car accident chiropractor. We are here to help you heal.